Did you know a truck full of bacon semi-recently 'crashed' near Laramie? Not sure about all the damage, what I do know is that a LOT of Laramie residents ended up with a LOT of free bacon! And we recently salvaged a lot of green beans...which the man does not love. So, when I had the opportunity to put the two together and serve them up to friends, I figured I couldn't go wrong. And, truth be told, these were delicious! I recommend putting some aluminum foil down for easy clean-up, because these can get a bit messy, but they are ultimately easy to put together and oh-so-delcious. 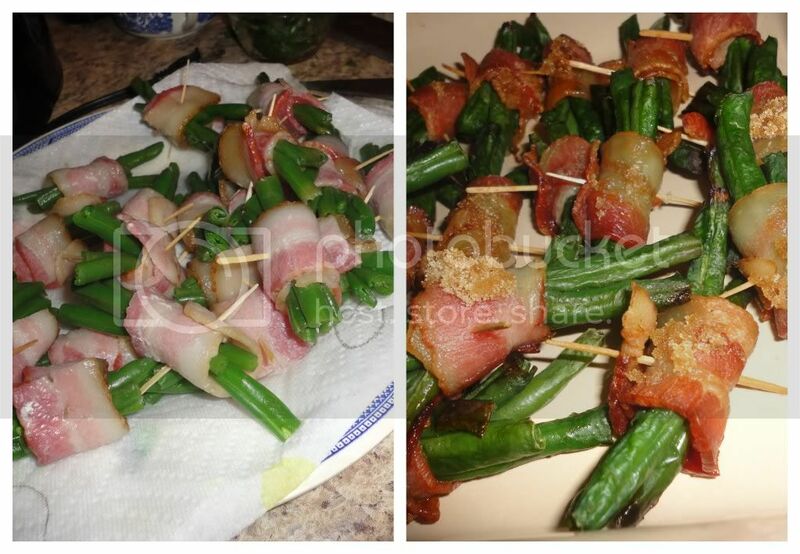 Simply wrap green beans in bacon, drizzle with soy sauce, butter and brown sugar, bake until bacon is fully cooked and the smells are intoxicating - enjoy!